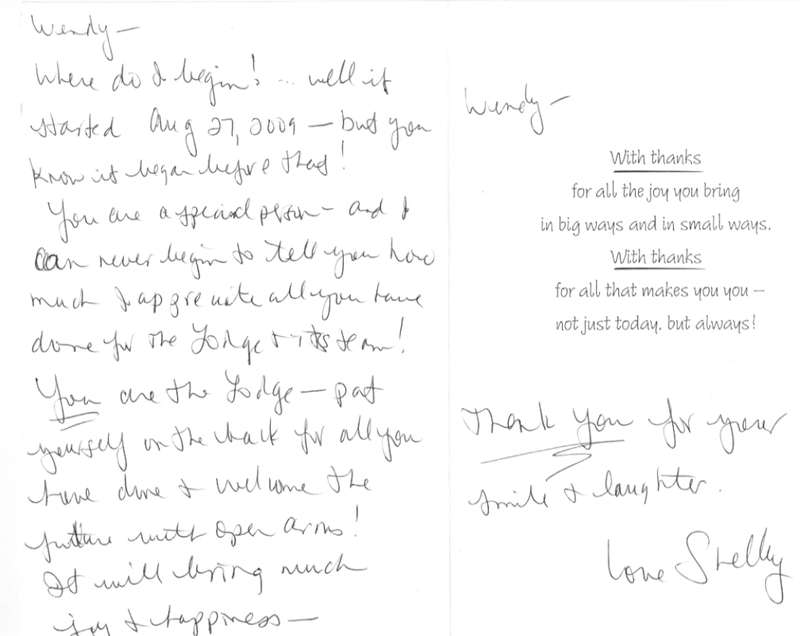 The following testimonials are provided to help give you a sense of who we are and what our program is about. These are just a few of the words from people that we helped or were helped with this health program. Retreat Guest Video - Doug A.
Lisa L.Hi there, I have great news! After my first round of testing and meeting with 4 doctors, I have NO detectible sign of cancer anywhere. Retest again in 6 months! I do show signs of excess estrogen and the cancer was estrogen dependent so I looked into what is causing that. I found that my body is not producing too much estrogen, my liver is just not metabolizing it efficiently. So, I have continued on my supplements, coffee enemas, juices and meals. Be well and enjoy every day of your life. 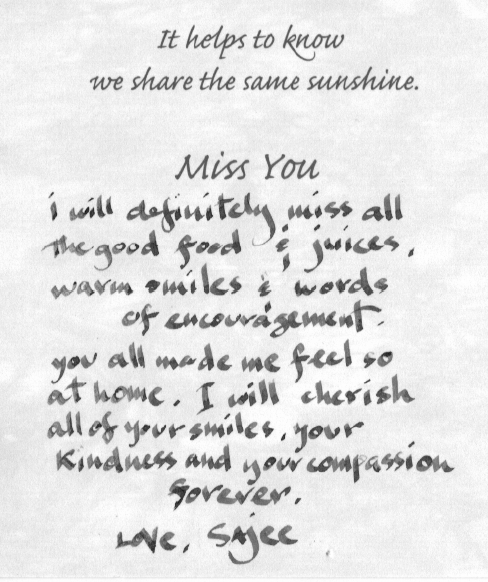 Diane S.Both Amy and I feel so much better after having spent time with you all. The energy there was almost always so conducive to healing and health. The very special energy that was present in the lovely food prepared especially by Devon, Annie and Joey was top notch. Also your cleaning staff is first rate. The doctors were wonderful, caring, patient and very kind. Ron Q. The doctors were great. She was great throughout our stay and so were the kitchen staff and the hotel staff! Brenda L. Sedona is a very beautiful and peaceful place. The retreat was an excellant getaway for me and my health. It was enjoyable working with the excellant staff and doctors. I feel like myself again, renewed and energized. Peaceful Retreat A beautiful, peaceful resort with impecable service and gorgeous rooms to stay in. A beautiful place to relax and enjoy all it has to offer. Top notch service and amenities for a weekend get away or just anytime you need an escape from life. I would highly recommend to anyone. Enjoyed Our Stay We stayed at the Lodge for a wellness experience. My husband and I were looking for a great getaway and also focus on our health for the new year. We scheduled a few massages, got some treatments while there. My husband had an issue with his diabetes and luckily there was a doctor on staff that was able to assist us and get a prescription at the local pharmacy. This saved our whole trip. We added some meals for lunch and dinner. The meals were all organic and tasted great. We also had a few fresh made organic juices as well. This place has everything you can get in a small B&B. The room was charming and comfortable. Our room just had a stand up shower. Next time we will book a room with a tub. The staff was great and fun to be around. 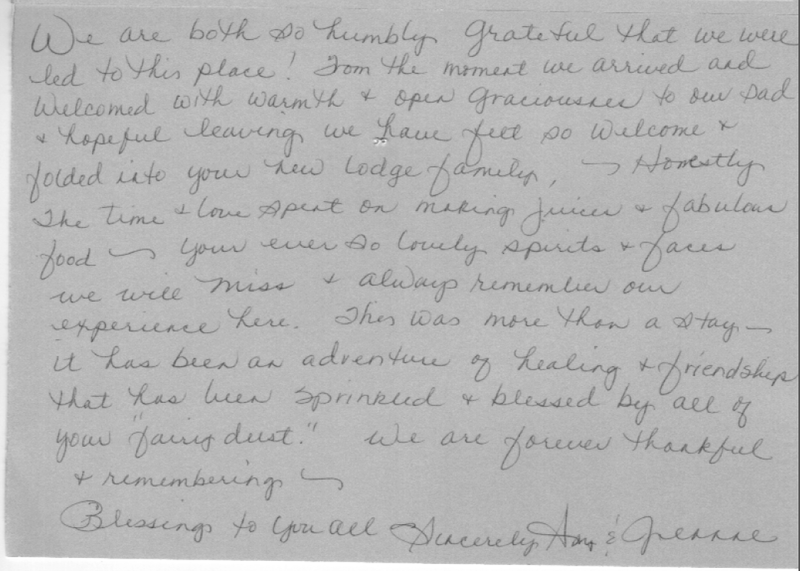 The best part was the people that we meet at the Lodge. They were all very nice and pleasant to be around. Many of the guests were on a wellness program and also getting massage and other therapies as well. The innkeeper made reservations for a jeep tour and a guided hike to the vortex, as well as making a few dinner recommendations in the area. We got back home refreshed and renewed from our stay at the lodge. 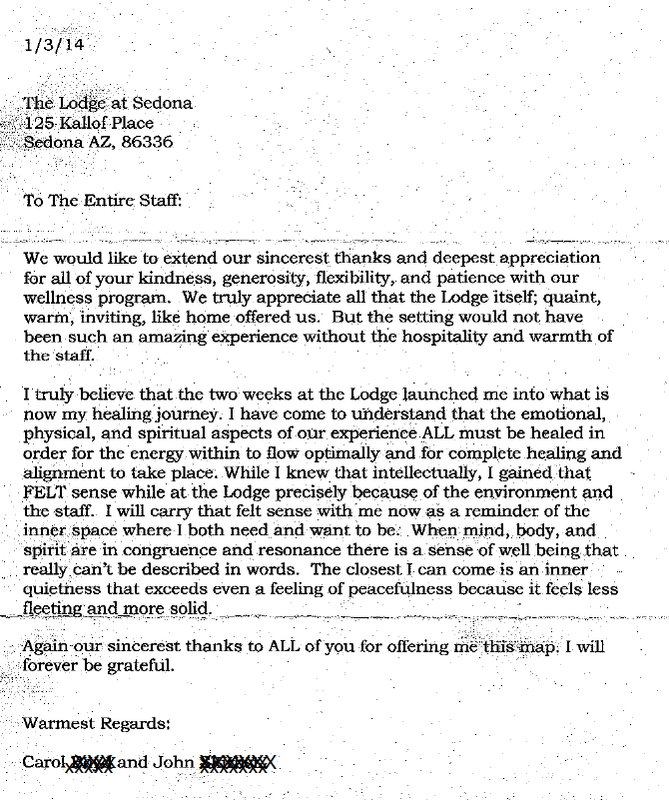 A Magical Stay in Sedona The Lodge retrat was a wonderful, peaceful and meditative experience for me. I felt like the inn keepers cared about who I was and my needs. I especially loved the various opportunities for reflection and the quiet coziness of the area. I found myself around the open kitchen area, watching the chefs prepare delicious meals for the guests. I would highly recommend this! We enjoyed our stay so much!! !We fell madly in love with the Lodge! As we entered the beautiful grounds we were taken to this mystical space. The room was incredible. It was super clean and decorated beautifully. The energy at the Lodge is tranquil, you feel a sense of calm come over you. The chef is amazing!! OMG really we couldn't believe how gourmet and healthy the cuisine is. We will be back. Thank you to everyone that made our stay so lovely. I was a guest this past September with my Mother, Nellie. To jog your memory, I made the large Native American Rattle that sits on the desk across from the fireplace. I wanted to write and let you know that we thoroughly enjoyed our two week retreat. The accommodations were perfect; one of our favorite things was to walk the labyrinth daily. While we were there we fell in love with the doctors and those working in the kitchen. I wanted to specifically tell the Jedi Juicers I have continued to juice and I enjoy a large mason jar of green juice daily. I also keep all my food in glass mason jars now; steel cut oats, re-hydrated fruits, cooked veggies, I no longer use plastic containers for leftovers. I have also continued to be a Vegan. I came as a patient with an autoimmune disease, Rheumatoid Arthritis, which causes a great deal of pain and inflammation. Ten days into my stay in Sedona the inflammation in my hands disappeared. When I came back and went back to my normal routine, with the above-mentioned changes, the inflammation came back. I find the actual shopping twice a week for the veggies and doing the cleaning and chopping everyday is hard on my hands, but I am slowly finding my balance. I have learned that once you have a chronic condition you cannot live life as you once did. If you want to get better, you have to make lifestyle changes. I want to thank you because you helped me know what changes I should make. 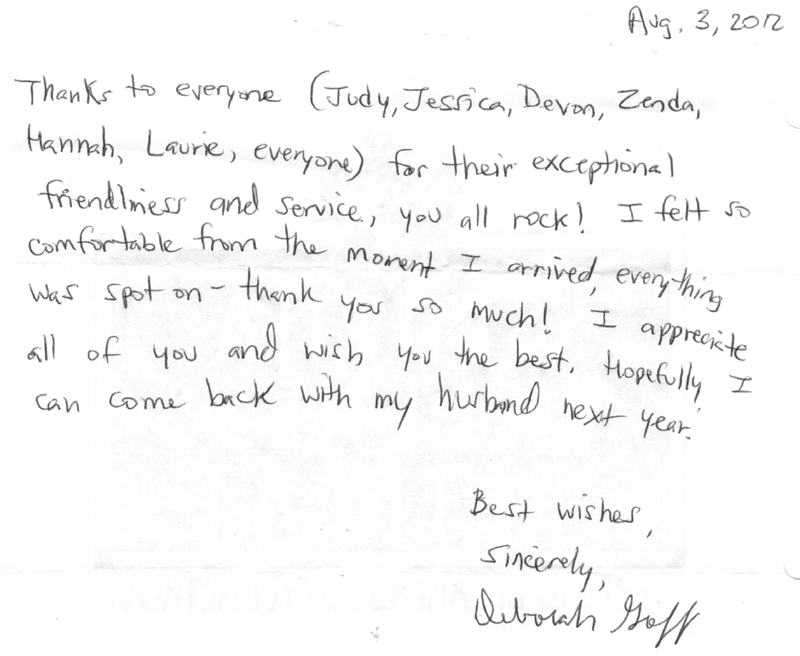 The staff went over and above to make us feel at home and kept us comfortable even through some difficult changes. My mother sends her greetings as well. We will forever be grateful. 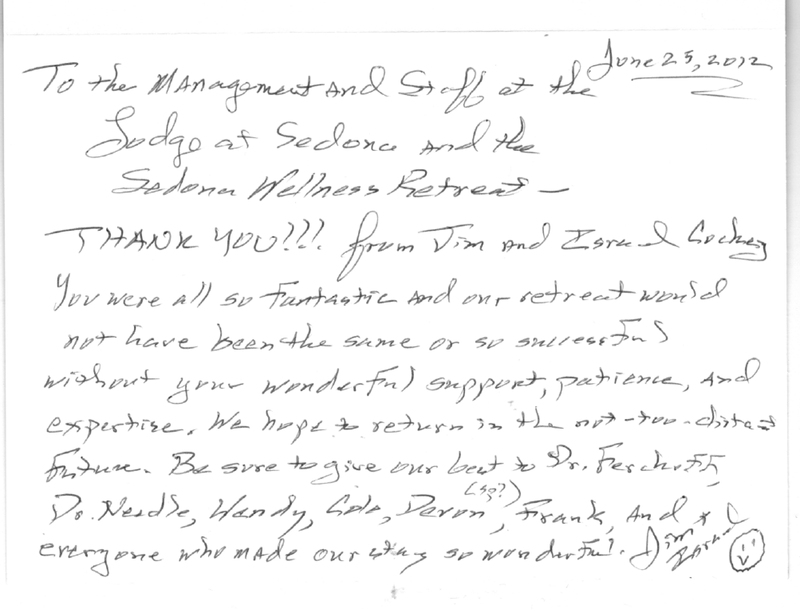 We learned a new, healthier way to live and we have the Sedona's Fasting Retreat Center to thank for it. It appears that my cancer is on the mend. Below is a history of my cancer indicators. Keep in mind that on April 10th the doctor gave me 3 to 6 months to live and October 10th will be 6 months. The cancer indicators have leveled off and appear to be coming down. When I started The Gerson Therapy, I was told that my cancer indicators would continue to go up for the first few months and then they would start to come down. I am not out of the woods yet but my prospects look good. I thank GOD every day for his gift of life and his allowing me to remain with my family for a few more years. I can feel the cancer healing and diminishing in my chest. The pain is less and less every day and my breathing becomes easier every day. The Gerson Therapy is not healing my cancer; The Gerson Therapy is restoring my immune system and my immune system is destroying the cancer. I had no idea how important good nutrition is to a healthful life until I started this Therapy. A word of warning to all of you: BE CAREFUL WHAT YOU EAT. Beautiful RetreatThe Sedona's Fasting Retreat Center is the most perfect retreat where I have ever stayed. It is a beautiful, perfectly maintained large, family home which has been added on to. The grounds are beautiful. Sculptures are placed throughout the grounds along with many fountains. The breakfasts and meals were wonderful. Everything is seasoned perfectly as recommended in the Gerson protocol. Our room was beautifully decorated and so comfortable. We stayed in the Prairie Ranch King room. We had a king bed, a fireplace, private entrance. I really appreciated that the room was on the ground level. There is a lovely labyrinth and also a teepee and a medicine wheel. I took advantage of walking the labyrinth. 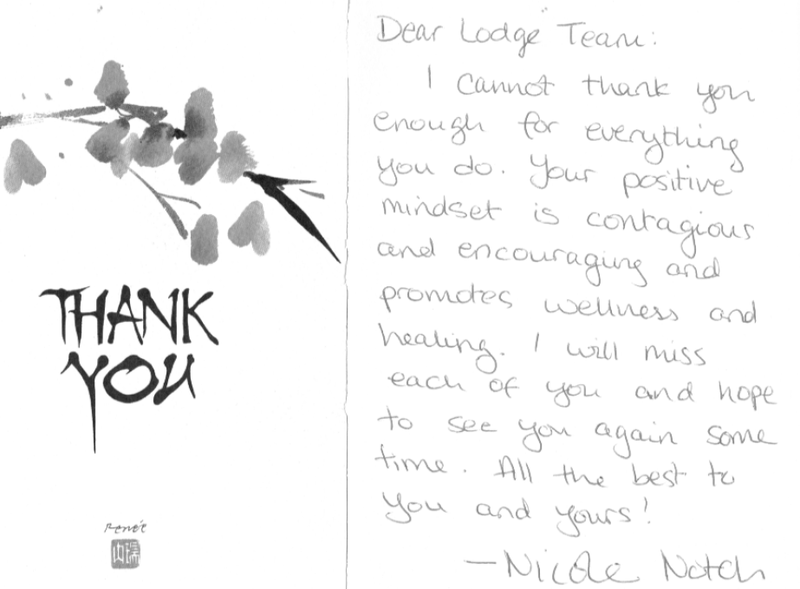 Whether you are looking for a spiritual experience or a quiet retreat, The Lodge will meet your needs. I'll go back, and I'll recommend it to my friends. Welcoming and Relaxing The property is very well laid out and is very comforting and relaxing. The location off the main drag offers a very quiet time. The lodge is cozy and a great place to hang out after long hikes. The meal plan menu was great - with lots of organic and healthy meals. Staff are friendly and helpful. Rooms are nicely done - with fireplaces and jet tubs. A little small - but workable. The small porches or private outside sitting areas for each room are very nice. The medicine circle, labyrinth and teepee outside offer a real Sedona "feel" for those wanting to explore the "energy" they provide. Great Place to Relax and Recharge Usually I don't sleep well away from home, but the bed was so comfortable I had no problem sleeping in. The staff is most helpful and the food delicious. They have a medicine wheel and labyrinth on the property, as well as wonderful landscaping and pieces of art. It definitely is a nice place to go on a retreat. The doctors were available during the day and were a great support especially when I was not feeling well. Thanks for the wonderful stay and I will be back soon.